We understand that choosing the right retirement community can feel overwhelming, which is why we’ve put together this Level of Care Tool to help you understand your options. 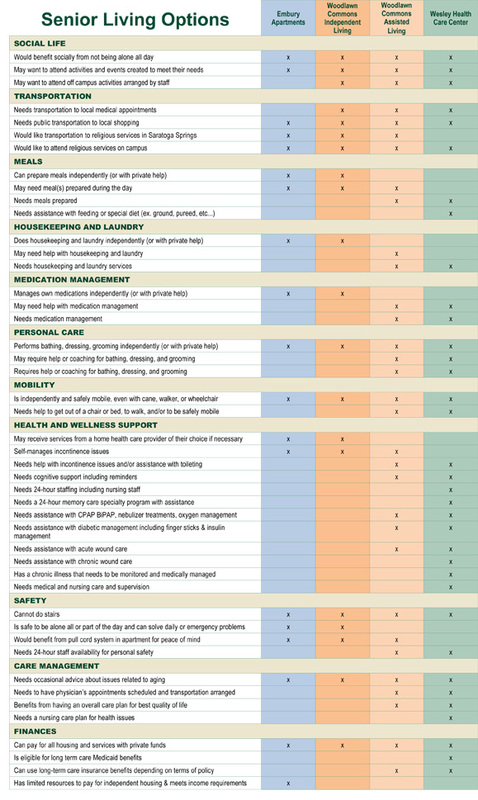 Download and print the chart below to compare our senior apartments, independent senior living, assisted living, and skilled nursing & memory care centers in Saratoga Springs. Or, contact us, and our senior care specialists will be happy to answer any questions you may have and offer additional guidance.